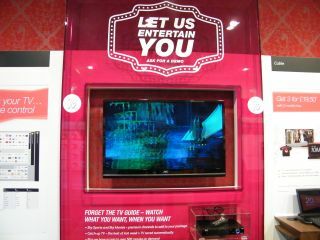 Sky has contacted TechRadar to explain that it was the first to publicly showcase 3D TV in the UK, despite recent claims by Virgin Media that it has nabbed this accolade. This month Virgin Media opened the doors to one of its flagship stores on Oxford Street, complete with a 3D television on public display. Although Virgin Media sent through a press release detailing that it was showcasing "the first public demonstration of 3D TV in the UK," Sky has pointed out that this is not the case. "Not only were we the first UK broadcaster to deliver a 3D TV experience into the home, we were also the first broadcaster to successfully broadcast 3D TV live, and at this year's Hay Festival we also showcased 3D publicly for the first time too," a Sky Spokesperson told TechRadar. The festival Sky in question took place back in May of this year. Quite why Sky decided to showcase some cutting-edge technology at a festival where most people are nose-deep into a book is beyond us but it does put the Virgin claims into question. Still, Virgin installing the television in its store slap-bang in the middle of Oxford Street will mean that more people will be able to witness the joys of 3D TV.